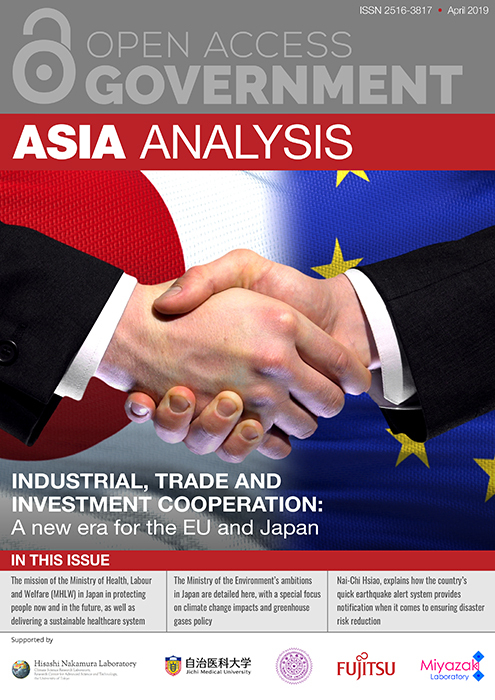 In this exciting and thought-provoking issue, one of the many highlights comes from Masanori Osumi, Japan-side General Manager and Philippe de Taxis du Poët, EU-side General Manager of the EU-Japan Centre for Industrial Cooperation. 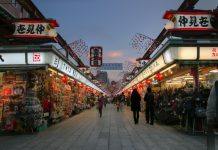 In their article, they explain why a new era begins now when it comes to promoting industrial, trade and investment cooperation between the EU and Japan. We also learn about the mission of the Ministry of Health, Labour and Welfare in Japan when it comes to protecting people now and in the future, as well as delivering a sustainable healthcare system. 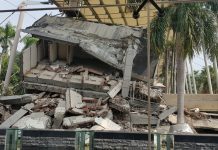 A particularly interesting article comes from Deputy Director of the Seismological Center Central Weather Bureau (CWB) in Taiwan, Nai-Chi Hsiao, who reveals how the country’s quick earthquake alert system provides notification when it comes to ensuring disaster risk reduction. We also find out about the Ministry of Science & Technology (MOST) in Taiwan in our analysis which details why in the age of the knowledge-based economy, science and technology has become a key driver of growth and national progress in the country. I hope that you really enjoy browsing through this publication and that you will join us for more in the future.